I realize that I need to truly rise to the occasion for an upcoming season of public appearances. I succeeded Ariana Huffington and Julep’s Jane Park as the August keynote for Zillow’s Speakers Series, with the company’s CMO as my host and its CEO live-tweeting the event. 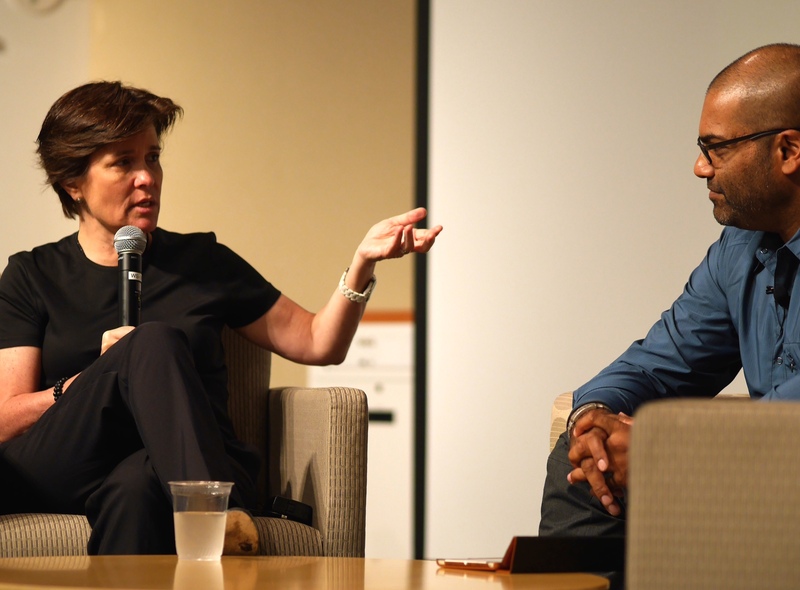 I interviewed Silicon Valley’s “most feared” journalist, Re/Code’s Kara Swisher in Portland as opening session for a conference on journalism innovation and civic engagement. She was as relentless and refreshingly frank as I had expected, criticizing Yahoo!, journalism school and Silicon Valley’s “cold” technologists (compared to the up-and-coming “warm” storytelling startups of Los Angeles). Neil Degrasse Tyson tops the playbill at the sold-out Tableau Conference on September 11, where I’m a “featured speaker” and can expect up to 1,000 attendees at my talk. 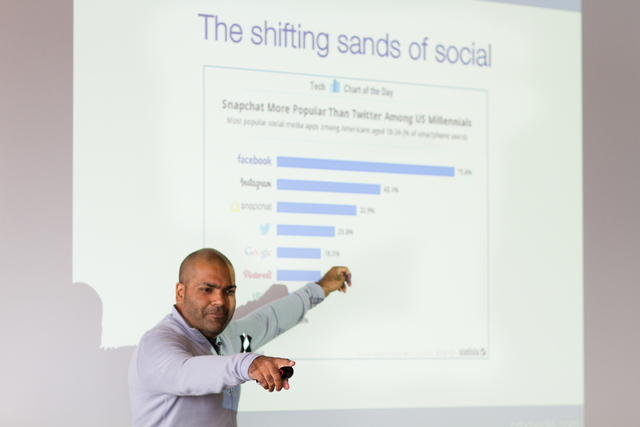 Beyond that, I’m presenting to Weber Shandwick Seattle (post-presentation article here), the Public Relations Society of America and the IPREX Global Communication conference. To some, I’m a known commodity. To others? Well, the organizers are sometimes compelled to accentuate what might matter most to their audiences (“NBC,” “war correspondent,” “University of Washington,” “Four Peaks TV“), as ancient as some of that history might be. Mobile first. Cloud first. The Digital Age. Disruption. Clichés abound as we all try to make sense of how technology has put us into a 24/7 state of communication. 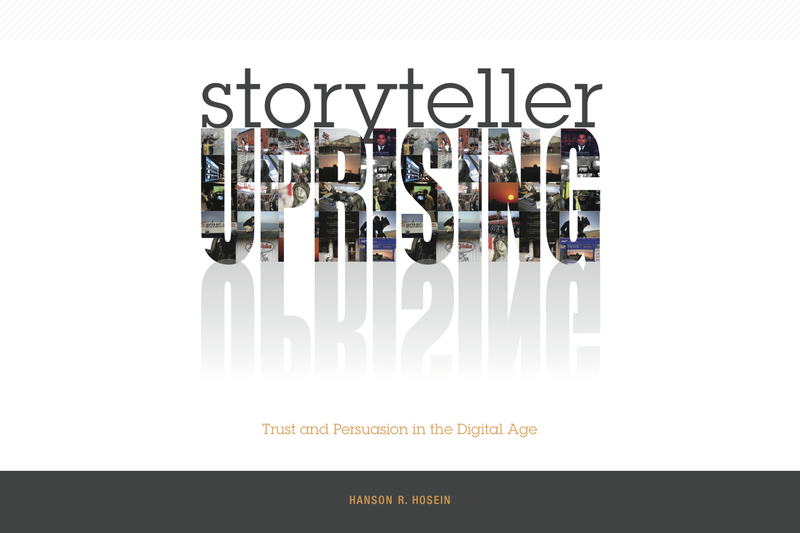 And therein lies the essence of a monumental shift: we inspire action by connecting to others, enabled by trust and persuasion. Former NBC News war correspondent Hanson Hosein now runs a graduate program for professionals that focuses on this very secret sauce. And you’ll get a taste of it through a dynamic, multimedia infused presentation that reveals the latest best practices, along with what’s lurking right around the corner. Ultimately, he’ll prove that all organizations needs to master a “communication first” strategy to leverage content throughout its communities and networks, inside and out. What do I mean by “communication first?” It’s a given that mobile technology and the Internet have put us into a pervasive state of connection — not only with our loved ones and colleagues, but with the world-at-large. And as organizations, it has connected us most meaningfully with the communities we serve and the audiences we attract as we endeavor to make them do something: change their minds, change behavior, buy a product, support a cause, get healthy. What motivates people to even take that first step towards connection? Ultimately, it’s a story — either inspired by media or extruded from data — that they find so relevant to their own lives it inspires them to take action. But we’re adapting slower than the technology, as much as we may be embracing community and content platforms such as Facebook, Twitter, and Youtube (watch out for Snapchat!). As futurist Geoffrey Moore noted at the State of Technology luncheon this spring, when we were making assumptions about our future a few years back, we didn’t account for almost everyone in the world having access to a computer (aka a smartphone) so quickly. Change that assumption and “you can reengineer the world,” he declared. It’s striking that most of the next-generation middle class jobs-to-be that Moore identified are steeped in communication: digital marketing, community management, content management and partner co-marketing. Inciting behavioral change starts with trust and persuasion it seems. So even as data crunching and compelling design become de rigeur for people-facing organizations, we also understand that our connection to the outside world doesn’t begin at the end of a particular development cycle. Instead, it occurs at the beginning, middle and ideally never ends. [C]ompanies [have to] engage with customers in exactly the right way at any contact point along the journey, require agile teams of experts in analytics and information technologies, marketing, and experience design. These cross-functional teams need strong collaborative and communication skills and a relentless commitment to iterative testing, learning, and scaling—at a pace that many companies may find challenging. Companies should start by assembling a “scrum team” that will bring the right people together to test, learn, and scale. The team should incorporate cross-functional perspectives (marketing, e-commerce, IT, channel management, finance, and legal), and its members must adopt a war-room mentality—for instance, making tough calls about which campaigns are working and which aren’t, and which messages should take priority for which segments; launching new tests every week rather than every six months; and mustering the IT and design resources to create content for every possible type of interaction. Ultimately, good communication is the interface between an organization and its community. It’s an internal muscle that must be developed and exercised by the leadership in alignment with the organization’s values and purpose. And it’s not relegated merely to public relations and marketing. It’s something we all should take into account in our professional roles; many of us must practice it daily as this always-on, usable human interface becomes so crucial to an organization’s success. As for the title of this article and that $70,000 charter? Similar to the “NBC war correspondent” billboard mentioned above, it was to compel you to connect to me. You made it this far, so it’s working! As I’ll tell my audiences in the coming weeks, on August 7, 1998 Osama Bin Laden first came to the world’s attention when he orchestrated the horrific bombing of the U.S. embassies in Nairobi and Tanzania. 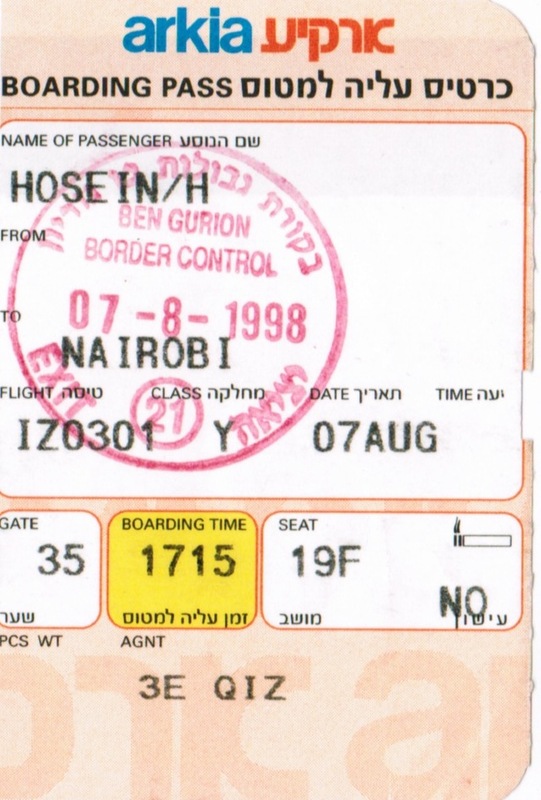 Given the time of day that it occurred, the NBC assignment desk realized that the only way it could get a live report on the nightly news was to deploy our team of 6 in Tel Aviv to Kenya. As it was a Friday and the beginning of the Jewish sabbath, our regularly scheduled travel options were non-existent. But El Al’s charter company did have a plane for us — a 737 for $70,000. I informed New York that it was the only way we’d make it on time. There was no hesitation, and a few hours later, we had an enormous commercial aircraft to ourselves (more or less — CNN and FOX heard of our scheme and ended up joining us, happily defraying some of the costs as we were now 20 passengers). As we left the Middle East and crossed over the African continent, the captain informed us that we didn’t have permission to land in Kenya. If we were forced to turn around, we’d have to refuel…in Sudan, which would not take kindly to an Israeli carrier. What happened next? You’ll have to catch one of my talks in the coming weeks to find out. But suffice to say, that was an age of mass communication, massive resources and influence exercised by a precious few, which has come and gone.